The past few weeks we’ve talked about rising inventory and a shifting real estate market. Are you ready for some good news? The SW Florida real estate market is in full swing this season. We still have rising inventory levels. New listings are outpacing new pending sales this past week, but we see signs of encouragement. Welcome to the Southwest Florida real estate opera. Season is like an opera with several acts and a crescendo near the end. Season builds. The first act is the arrival of the listings. Then comes the showings in the second act, followed by new pending sales in act 3, and lastly the closings in act 4. We’re in act 2 right now, and we’re seeing great activity. We pull up showing reports for the MLS to compare how our listings are doing against all activity in certain price ranges. If one of our listings is receiving less activity than the average, we know the market may be rejecting the price and it’s time for an adjustment. The average showings per listing in February is 2 in the $195,000-$445,000 price range. We can adjust the report by zip code and price. So if we have a $300,000 home in the 33919 zip code, we can run a showing report for that zip code and the $275,000-$325,000 range and see how we’re doing. When inventory is increasing it’s important to size up your competition, so you don’t get left further behind. In addition to proper pricing, aggressive marketing becomes more important than ever as well. The good news is act 2 is a good one. 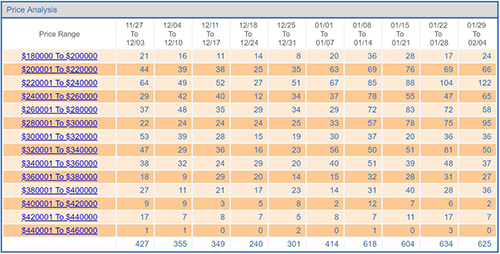 Showings are up 100% versus the end of the year and about 50% since the beginning of the year. Lookers are here and they’re interested. Analyzing our website statistics confirms this as well. We’re getting a lot of visitors from New York, Illinois, Ohio, and Michigan. 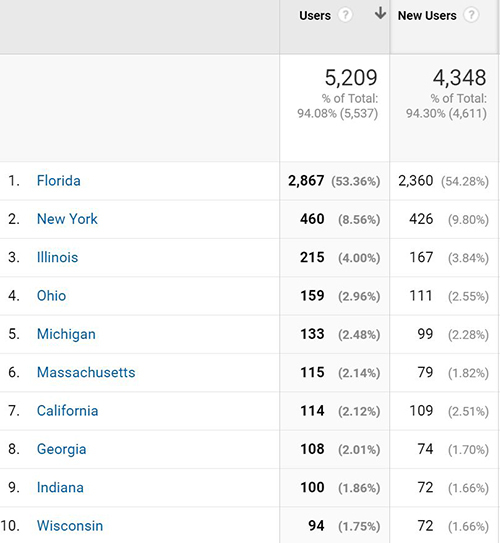 It’s no small coincidence that high tax states have visitors moving to Florida, and our website reaches them well. The cold weather up North doesn’t hurt either. So, what does it take to get lookers off the fence and convert them to purchasing? This is where seasoned pros come in. Obviously, a looker must have some interest. Chances are they’ve been thinking about this awhile, perhaps years. A good agent paints the picture for them. People don’t change until the pain of remaining the same is greater than the pain of change. That’s a mouthful, but it’s true. People get tired of high taxes, cold winters, and dark grey skies. They’re depressing, and Florida is always fun! It’s warm, bright, sunny, and cheery. It’s hard to not have a good time while playing golf, enjoying the beaches, and a cocktail at sunset in your shorts. Then that drunk monkey sets in. The drunk monkey is that alter-ego that sits on your shoulder and tells you why you can’t do something. We can’t leave the family behind. All our friends are up North. What about the grand kids? The list goes on, and year after year they take no action, yet resent that they’re not living the good life like some of their friends. Those that take action find a way. Perhaps they purchase and live here seasonally. Many times, the family follows them down. And if they have a spare bedroom, they might see their friends down in Florida more than they do up North. This is so true that quite often people downsize after several years so they lose those spare bedrooms. Whatever the case, a seasoned agent can help a looker through the pros and cons of purchasing. We’ve seen and heard a lot, and buyers take comfort in finding out how others before them made their dream a reality. If you’re thinking of living the Florida dream, always call the Ellis Team at Keller Williams Realty. 239-489-4042 If you’d like to search for your slice of paradise, check out www.LeeCountyOnline.com And if you’re considering selling, call us and ask for Sande or Brett Ellis Ext 4.